The ability of an individual to maintain balance while performing everyday activities is necessary to prevent falls. Therapists treating patients with balance impairments may use a variety of techniques to address identified deficits in strength, range of motion, and/or coordination. 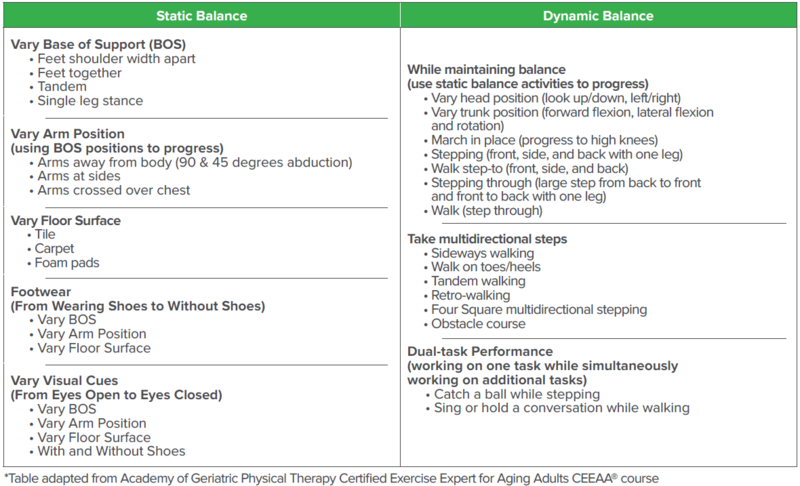 The following objective tests and measures provide clinical insight on standing balance and should be performed along with a comprehensive evaluation. Objective tests and measures should be repeated for progress notes, recertification, and when considering discharge from therapy. improve proprioceptive sense, and restore standing stability. 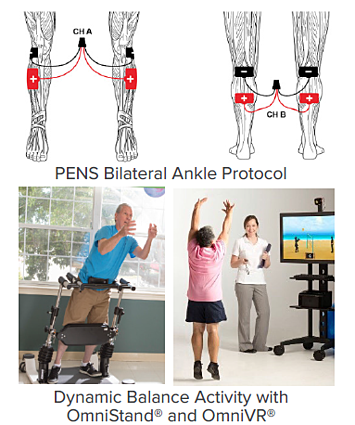 • Balance trainers can be used for those with limitations in static and dynamic balance to facilitate ankle, hip, and stepping balance responses in a fall-safe environment. • Virtual reality can be used alone or in combination with balance trainers to offer dual task challenges during standing balance activities.